I sometimes dream of my parents. Both have passed away but it wasn’t until my father died that I started to dream of them together. They are dancing in an empty ballroom. I recognised it as one that was part of the social club attached to the large works alongside the Thames where my father worked when I was a child. There is a band and no one else. The first time I dreamt of them they were across the other side of the ballroom and smiling at me. When I was down they would be closer, as if they were comforting me. I’ve not seen them lately so things must be okay. It’s very comforting. I wrote as a child. ‘Pip the Pixie’ on my petite typewriter. It was never taken up! I was first published around sixteen years ago with articles. I’m a great dog lover and get very involved with dog showing, breeding etc. I’d written for breed club year books and thought I’d have a go at sending them off. My real dream was to write fiction so at the same time I was learning to write for the women’s magazine market. What is it about the genre you write that appeals to you the most? Do you read other genres? I love sagas. Family stories with romance and history but I’m also a big fan of romcom and write that as well. That’s what’s so great about being a writer. We have an idea and we write it – whether it sells is another matter completely! Gracie’s War is set in Slade Green and Erith (Kent) from the outbreak of war in 1939 until the devastating floods that saw the Thames break its bank in 1953. A moment of madness changes her life forever but has it lost her the love of her life? I was born in Erith and lived in Slade Green until my marriage when I moved – to Erith! Back then Slade Green had very much a village air. These days it has been swallowed up by South East London. I grew up hearing stories from my family of the war years and also my late mother’s family who owned a fairground for over 100 years – it closed in the 1940s. Gracie grew on me gradually as did her friend, Peggy and once I had the idea for conflict and love in her life my fingers flew across the keyboard. 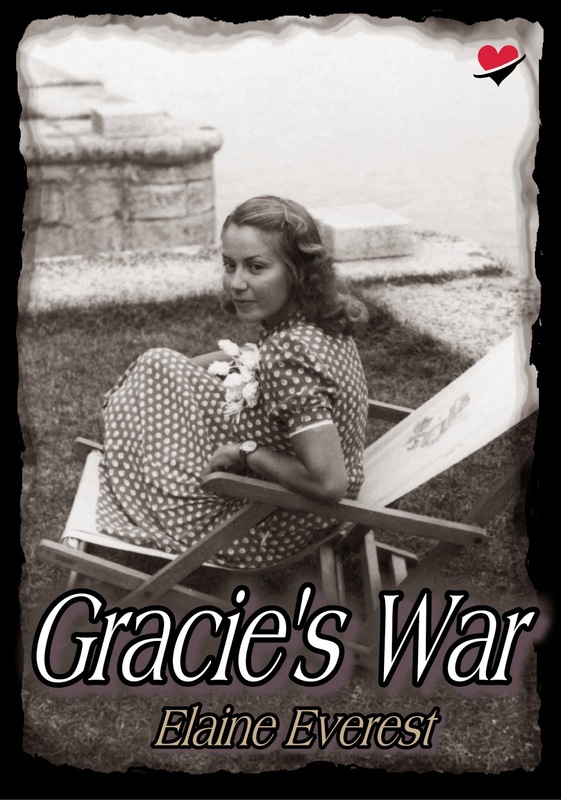 I haven’t seen anyone reading Gracie’s War as it is an ebook. I’ve received feedback by people who have read it which has been unnerving. My students, at the creative writing school I run, people who have lived in ‘the green’ as I did. What if they hated the book? However, I have written three non-fiction books for dog owners and after facing a very annoying gundog breeder at a book signing at Crufts I decided I could cope with any writing problem. Oh, she had complained I didn’t cover enough about working gun dogs – which wasn’t what the book was about! The cover for Gracie was sourced by my publisher at Myrmidon books for their Pulse Romance imprint. I loved it on sight as it was just as I imagine Gracie. She looked a little like my mother as a young woman as well. The photograph is an original 1940s image. I do wonder who the young woman was and what she would have thought to now be on the cover of my book? Goodness! Wouldn’t it be lovely to have the opportunity to choose? I think it would have to be Anna Friel as she has played characters from the war years before and the era suits her style. It has to be Gone with the Wind for the sheer romance and drama. I’ve not long finished Carole Rivers’ latest saga set on the Isle of Dogs titled A Wartime Christmas and I’m a good way through Carole Matthews Calling Mrs Christmas. I did say I’m a fan of Sagas and Romcom! Goodness, there are so many good writers out there. I would like to see author, Charlotte Betts recognised for her wonderful books. 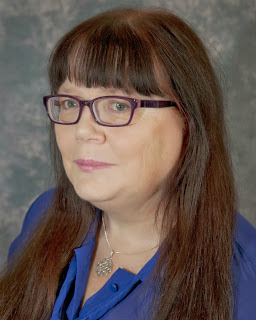 I became a fan after being present at The Romantic Novelists Association’s Summer Party and seeing Charlotte win the Joan Hessayon Award with her first novel, The Apothecary’s Daughter. I purchased the book the very next day and became a fan overnight. At my desk in our large bedroom. I do have a spare bedroom and one day, when all the junk had been cleared out, it will be my study. I also work at the kitchen table. I got into the habit when our Polish Lowland Sheepdog, Henry was a puppy and I needed to whisk him outside quickly. These days he can climb the stairs and keeps me company while I write. He is the perfect eco-friendly paper shredder. I just need to train him to pick up the pieces of paper he leaves on the carpet! I wanted to write novels so yes I have finally followed my dream. Renee Zellweger but as the character, Bridget Jones. I seem to get into the same kind of scrapes that she does. Plus, I may just get to meet Mark Darcey! Top drink to make you tipsy? Southern Comfort, lime and lemonade – although Prosecco will do it too! Shopaholic or shopadon't? Shopaholic – if you count pet shops and supermarkets? Sky high heels or closer to the ground? These days closer to the ground but I covet heels. E.L. James or Jilly Cooper? Neither! Elaine is a freelance author, writer, journalist and creative writing tutor. She lives in NW Kent with her husband Michael and dog, Henry. 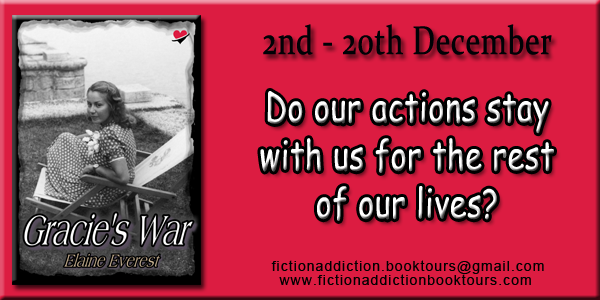 Gracie’s war is her first novel although she has had three non-fiction books for dog owners published with How To Books Ltd, She has sold over sixty short stories to the women’s fiction market and in 2003 was BBC Radio Kent’s short story writer of the year. She was a finalist in The Harry Bowling Prize in 2012 and shortlisted in the Festival of Romance’s New Writer competition in 2012. Winning Pulse Romances ‘write for us’ competition meant that Gracies’ War became a reality. Facebook as Elaine Everest – beware the dog photo! 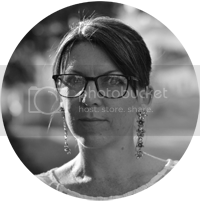 Blog is a work in progress with three writing friends. Suzy, thank you for taking part in Elaine's tour. Thank you, Suzy. You set some interesting questions!